“The Battle of Bug World certainly packs in the adventure. Things happen non-stop in Rosie’s world. “Weird things were happening around town. Not only had the bees disappeared, but there were storms like never before, a black tornado over the next-door neighbour’s house, a giant sink hole in the main street and, to top it off, Rosie’s sister Raven had gone missing! 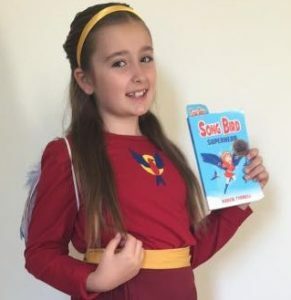 Rosie’s teacher and mentor, Miss Darling (aka Wonder Girl), convinces Rosie to go to the Bug World theme park to look for her sister – ‘Be Brave. 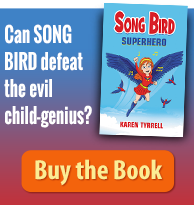 Be Song Bird.’ Can they stop the weird climate changes? “Superstorms destroying back gardens, disappearing bees, record temperatures causing heat waves across the country and a strange looking tornado forming above the house next door. Who can save the earth from doom and destruction? 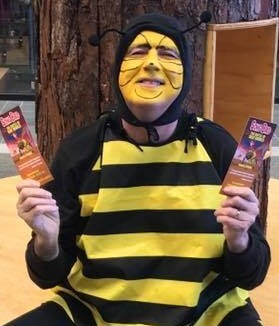 During Book Week, I presented The Battle of Bug World story, pantomime and eco talk to schools and at Imagin Expo. 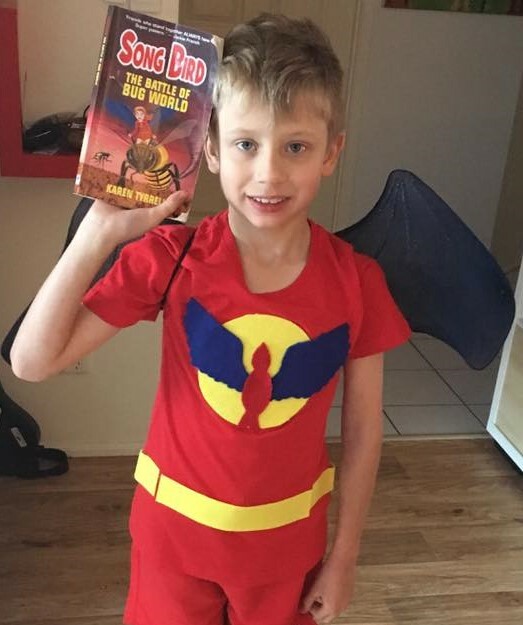 FAN girls and boys dressed up as Song Bird Superhero for their Book Week parade. Please send me photos of you and Song Bird found out in the wild. Song Bird Book 3 is due for release in 2018. Some pretty powerful reviews there Karen. I agree and well deserved, as this book finds new and interesting issues to explore. 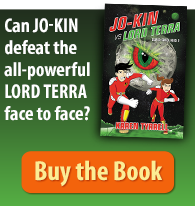 Environment meets super hero meets a disabled girl who may be the most powerful of them all. Very clever to weave multiple interesting current themes within a classic superhero adventure story. Now isn’t that kind of CBCA to mention my chapter in Karen’s book. It did make me feel great , it was a pleasure to contribute to Karen’s book. 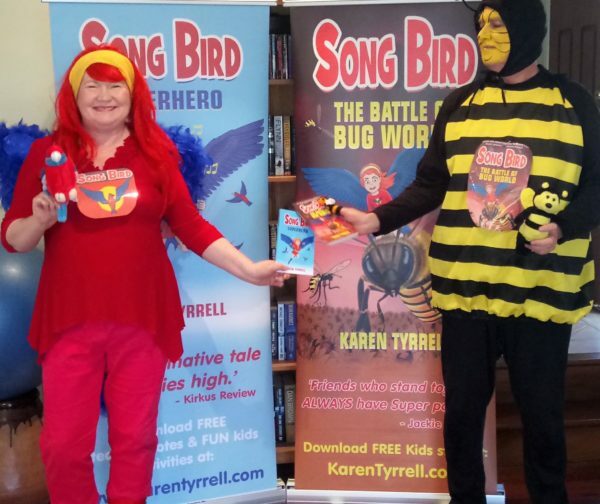 I find it even more fun when I get the chance to read it out to schoolkids when I’m made-up as super-bee at Karen’s school outings!. I’m a bit of a ham and I love the kids reactions. buzz buzz ! Steve, I’m thrilled that you write chapter 6 in Song Bird 2 and Chapter 2 in Song Bird 1. 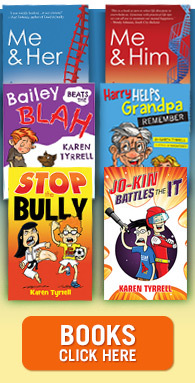 Wonderful to see your book scoring the great reviews and promotions it deserves, Karen. You contribute a lot to empowering children (and adults). I wish you enormous success! Well done Karen – All wonderful reviews. 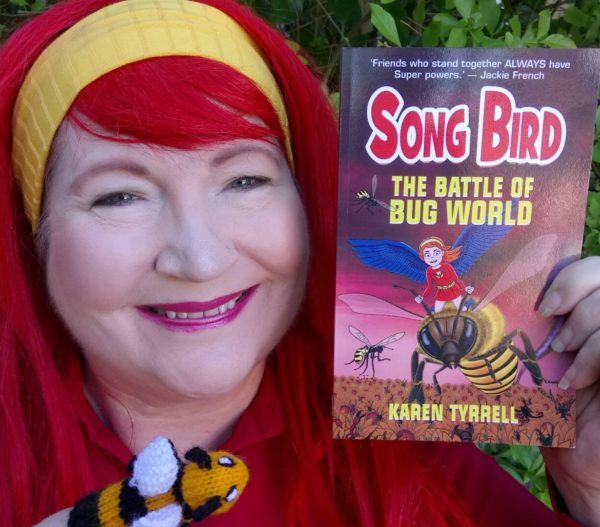 Thanks for checking out my NEW reviews and reviewing my book, The Battle of Bug World – Song Bird 2. MORE environmental books are on the way. Thanks so much for your very warm and positive support for my book, The Battle of Bug World. Thanks for your awesome review and interview.